This is NOT the way to feed your cat! Sadly I missed the shots when Coco was trying to help. First she ate as if there was no tomorrow. 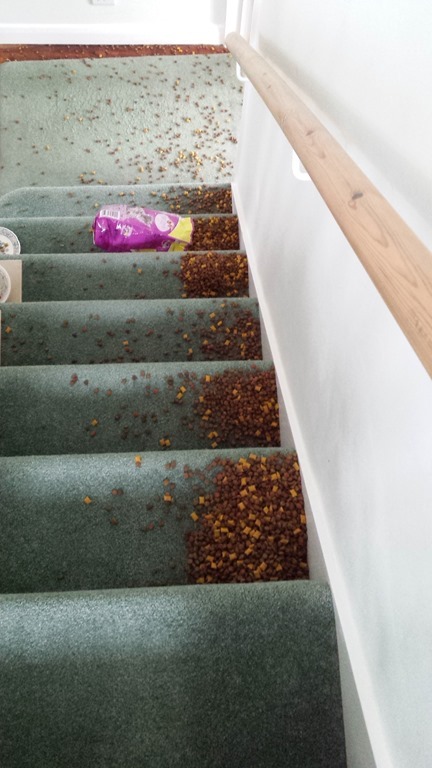 the dry-food went everywhere, but what a delightful game! This entry was posted in Just Fun, Normal and tagged General. Bookmark the permalink.